India’s membership of the Shanghai Cooperation Organisation (SCO) will also present opportunities for regional cooperation with China and other member countries. The successful conclusion of the Belt and Road Forum (BARF) in Beijing, which India chose to stay away from, has led to a chorus of voices warning that in doing so, India has isolated itself both regionally and globally. With the exception of Bhutan, all the South Asian neighbours of India participated, as did countries India regards as its partners in resisting the Chinese dominance of Asia; these include the US, Japan, Australia and Vietnam. Japan and Vietnam are also countries of South East Asia, which, like India, have territorial disputes with China, but they did not consider those disputes reason enough to stay away. It may also be argued that India itself has not let its territorial disputes with China stand in the way of cooperating with it on matters of mutual interest such as the Asian Infrastructure Investment Bank (AIIB) or the BRICS Development Bank (DB). India’s membership of the Shanghai Cooperation Organisation (SCO) will also present opportunities for regional cooperation with China and other member countries. These opportunities constituted a rationale for seeking membership in the organisation. So, did India make a wrong call in staying away from the BARF? One, unlike the AIIB, the DB or the SCO, the One Belt One Road (OBOR) is not a multilateral project: It is a series of current or proposed projects that will be undertaken through bilateral agreements between China and partner countries. There is no multi-national frame here or institutional arrangements through which participating countries can not only link themselves with China but with each other as well. For example, in planning various projects under the CPEC, there is no Afghan or Iranian dimension; the China-Afghan projects or the China-Iran projects are in separate compartments. So, there is no blueprint of a multi-nation connectivity plan that India is missing out on, though such connectivity, to a limited extent, may emerge as a collateral benefit. 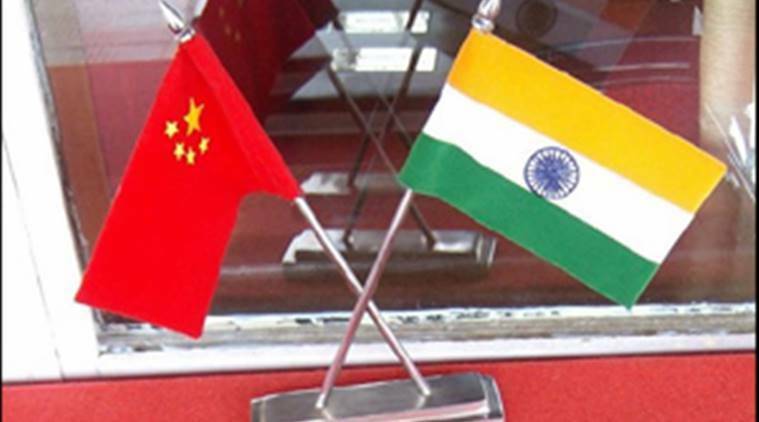 It is still open for China to propose and for India to consider, in the light of its own interests, bilateral cooperation to improve connectivity between India and China. India could, and should, use the AIIB and DB to fund domestic and cross-border infrastructure projects which will promote its own economic prospects and improve connectivity with its immediate and extended neighbourhood. Signing on to the OBOR is not a prerequisite. Secondly, there appears to be a misconception that India is missing out on billions of dollars worth of potential investment in its infrastructure by keeping away from the OBOR. Chinese investment, as distinct from funding through the AIIB or DB, is through loans which carry significant interest and there may be other conditionalities, including the purchase of Chinese equipment and the use of Chinese technology. One of the reasons why the OBOR has been launched is precisely to help China deal with the problem of massive over-capacity it has built up in steel, cement and construction machinery and transportation. For India, a shortage of capital is not the main constraint but rather, designing and executing economically viable and sustainable projects. Indian companies have used Chinese credits and technology and equipment to build power and telecom projects. However, these are plagued by problems of inferior quality. There has also been concern that in undertaking such projects, the Chinese bring in their own labour teams which takes away employment from local people. This has also been an issue in other countries where the Chinese have undertaken projects either through the grant of credits or though investment by Chinese companies. The latter are already significant players in the Indian market, whether it is Alibaba in the e-commerce and e-payments space or Huawei and Xiaomi in telecom. Therefore, as long as India remains one of the most rapidly growing large economies, with an unmatched market potential, fears of missing out on the economic opportunities because of India’s absence from the BARF are not well-founded. If China limits its investment in the Indian economy because of India’s refusal to endorse the OBOR, then the loss will be China’s, not India’s. Thirdly, India cannot but oppose the CPEC, which violates India’s territorial integrity. Some commentators are of the view that since India has already conceded that it could settle for the Line of Control as an international boundary between India and Pakistan, there is no reason to get exercised about the CPEC: This is a dangerous argument. The LoC as an international boundary may come as an outcome of a negotiated settlement, not as a starting point of such negotiations. The other side does not accept the status quo. Neither can we. It is the same with the India-China boundary. China’s double standards should be exposed. It opposes any project in Arunachal Pradesh for which funding has been sought from international financial institutions on the ground that this is disputed territory. Of late, it has been opposing even central projects in the state. How then can it claim that its projects in Pakistan-occupied Kashmir do not affect issues of territorial integrity and national sovereignty? In addition, the latest revelations of the dimensions of the CPEC in the Pakistani newspaper Dawn make it abundantly clear that, as the newspaper declares, “the plan envisages a deep and broad penetration of most sectors of Pakistan’s economy as well as its society by Chinese enterprises and culture. Its scope has no precedent in Pakistan’s history”. Pakistan is emerging as an economic and military outpost of China on our western flank. This directly and adversely impacts our security interests: These cannot be deflected by the so-called economic prospects of the CPEC. It is another matter that this foreign-inspired nation-building project in Pakistan is as unlikely to succeed as its western versions here and elsewhere. It is apparent that key assumptions behind India’s China policy, in place over the past decade and a half, are being altered. On the global scale, China is attempting to create a narrative of the inevitability of a Chinese hegemonic order, supplanting the US-led order. The OBOR is an important instrument in building that narrative. Regionally, it is no longer willing to accept Indian primacy in the Subcontinent or in the Indian Ocean. It is determined to build its own primacy. The CPEC is an ominous example of this. India will, therefore, need a new China strategy. Mere opposition to Chinese moves may not suffice. We need to articulate an alternative narrative which contests the inevitability of Chinese hegemony. We need to rethink our regional strategy which may require far greater focus on securing our immediate neighbourhood than we have now.